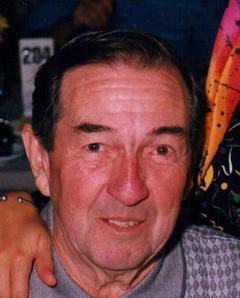 Donald “Don” E. Davis, 91, passed away Monday, December 25 at Summa Akron City Hospital. He was born in Akron, Ohio on December 9, 1926 to Austin and Edith (nee Freise) Davis. Don proudly served in the Navy during WWII and was especially proud of his work on Kwajalein Island and the establishment of a military base there that is still in operation today. He retired from Goodyear/Lockheed Martin, enjoyed many years as an avid golfer and was very well known for his card playing skills. Mr. Davis is preceded in death by daughter, Kathi Fiocca, son, Kim Davis, brother, Robert, and sister, Marge Klein. He is survived by loving wife of sixty eight years, Ruth, daughter Kari (Steve) Kline, brother, Leonard (Barbara) Davis and sister-in-law, Norma Freeman, grandchildren, Tance Kline, Kathi Kline and Kyle (Nicole) Davis and Kelli Davis. Memorial calling hours for family and friends will be Friday, December 29 from 5 to 7 p.m. at House of Eberhardt Funeral Home, 472 W. Turkeyfoot Lake Rd. (Rt. 619) Portage Lakes.